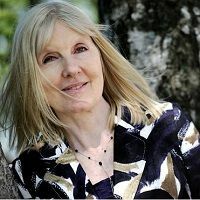 Helen Dunmore’s collection Inside the Wave, which took the poetry prize, is about the diagnosis and treatment of the cancer that ended her life at age 64. Other category winners are Jon McGregor’s Reservoir 13 (novel), Gail Honeyman’s Eleanor Oliphant Is Completely Fine (first novel), Rebecca Stott’s In the Days of Rain (biography), and Katherine Rundell’s The Explorer (children’s literature). Each category winner receives £5,000; the Costa Book of the Year prize, worth £30,000, will be revealed on January 30.